IGRP, which stands for Internet Gateway Routing Protocol, is a relatively old routing protocol that was invented by Cisco. It has been largely replaced by the newer and more superior Enhanced-IGRP, more commonly known as EIGRP, since 1993. Even in Cisco the Cisco curriculum, IGRP is only discussed as an obsolete protocol as an introduction to EIGRP. The main reason behind the advent of EIGRP is to move away from classful routing protocols like IGRP because of the rapidly depleting IPv4 addresses. IGRP simply assumes that all elements in a given class belong to the same subnet. EIGRP utilizes variable length subnet masks (VLSM) to make more efficient use of the short supply of IPv4 addresses, prior to the advent of IPv6 . Along with the shift from classful routing protocols were a few improvements to the algorithm used to discover the best way to get around the network was introduced with EIGRP. It now uses Diffusing Update Algorithm or better known as DUAL to calculate paths while ensuring that no loops exist in the system since those are detrimental to the performance of the network. EIGRP routers periodically broadcast a ‘hello’ packet to all systems to inform other routers that they are present and working well in the network. Updates on the other hand, are no longer broadcast to the entire network; they are bounded only to routers that need the information. Updates are also no longer periodic and only when changes in the metric are observed would the corresponding updates be sent out to other routers. The partial updates cause a reduction in network traffic compared to the full updates that are utilized by IGRP. Metrics, which are used to measure the efficiency of a given, have also changed in EIGRP. Instead of using a 24 bit value in the calculation of the metric, EIGRP now utilizes 32 bits. To maintain compatibility the older IGRP metrics are multiplied by a value of 256, thereby bit-shifting the value 8 bits to the left and conforming to the 32 bit metric of EIGRP. Ben Joan. "Difference Between IGRP and EIGRP." DifferenceBetween.net. 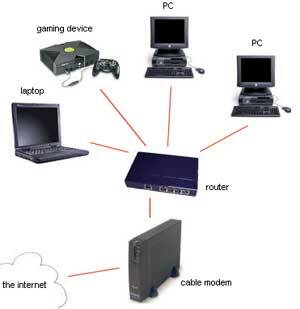 May 19, 2011 < http://www.differencebetween.net/technology/internet/difference-between-igrp-and-eigrp/ >. Of course it would be for a pajeet like you. Thanks for the info. I studied routing protocols about two years ago and have forgotten a lot of specifics. This really helps!